Summer is in full swing, bringing bright, natural colors, lush greenery, and warm June weather to Boulder County. All of us at Design Studio are beyond excited to soak up the outdoors, and Summer-Ready our indoors. For those days when we’re not able to enjoy the great Colorado outdoors to their fullest extent, we’ve compiled a list of the top 5 ways to introduce summer color, light, and atmosphere into your home’s design. Sheer window coverings are classic, elegant, and an excellent way to let a soft peek of sunlight into your space. 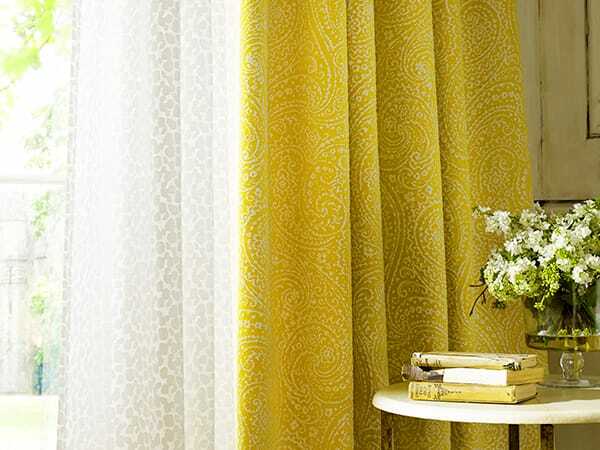 A semi-sheer white fabric with a subtle pattern is perfect for those who want to introduce texture to their windows. If sheer is not your style, a colorful curtain can brighten up a room, pulling the colors of Summer indoors. Take full advantage of larger windows by layering window coverings for a more complex look and chic feel! Craving a little color? 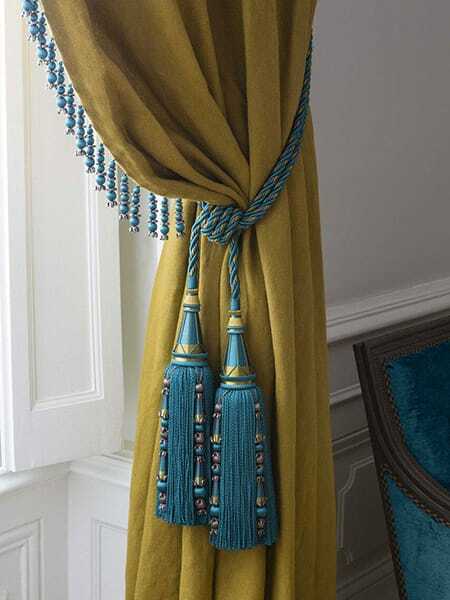 Tie a gorgeous summer hue into your home’s decor with a set of Houles tiebacks, available at our design showroom. Houles offers a wide variety of styles and bold colors, ranging from classic to contemporary. No matter your design preferences, they have a vibrant way to tie back your new curtains and let in that gorgeous Colorado summer sky. Swapping out the covers of your throw pillows with a fresh, bright fabric is a simple way to introduce summer color without having to redecorate or repaint. 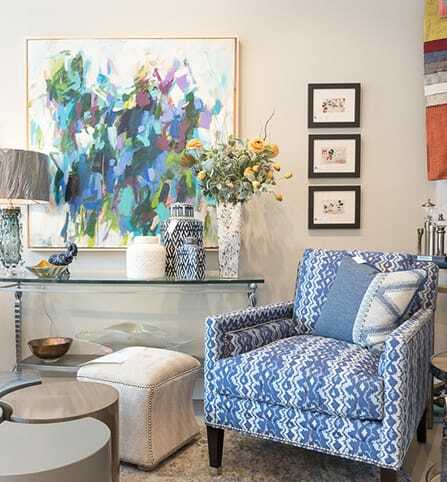 Colorful patterns and subtle florals are always a Design Studio favorite, and there are so many different fabric styles and materials to choose from. In the summer, we suggest picking a palette of bold blues, lush greens, or vibrant yellows. The best part: Throw pillow covers can be swapped to match the aura of any season, such as rich neutrals for autumn. At our design showroom, we are able to create custom pillow coverings using one of our hundreds of available fabric options! Supporting local artists has never been prettier. Add a new focal point (and conversation starter!) to any room with fresh wall art. This season, we’re in love with bright blues and punchy pinks like those found in this abstract painting by Kelly Degnan. Stop by our Boulder County Design Center to see more of her work. Never underestimate the aesthetic power of fresh greenery. Introducing life into your space can bring a new energy to your room, and provide you with a lovely focal point. Floral arrangements are perhaps the easiest design element of all, as you can swap them out at will with inexpensive blossoms from the store, or fresh-cut greens from your own backyard. Read to spruce up your home for the summer season? Speak with our interior designers at Design Studio Interior Solutions. Obtain a free consultation. To learn more call us at 303-652-1727.